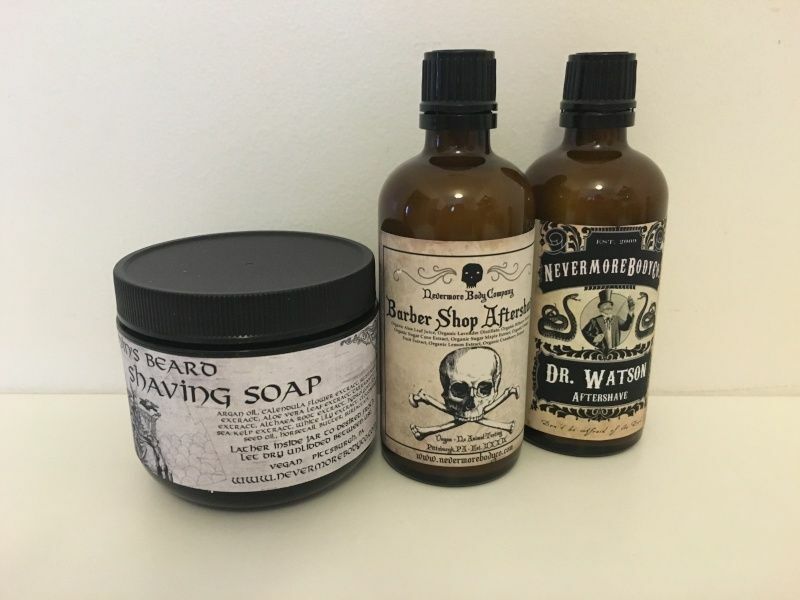 For american wet shavers, these acquisitions may look "ordinary" since these are american brands but remind that I ordered them to ship to Paris / France. For french wet shaving fans, they are very exotic. Note that I didn't shave with any of them yet. As a result, I can only share opinions based on first look / touch. Fougère moderne AS : very subtle scent. Ordered this one to pair with Martin de Candre's Fougère. Bergamot & Bay AS / tallow soap : veeeeery nice and subtle scent. The Select will be my first tallow-based soap (I usually buy all-vegetal soaps). 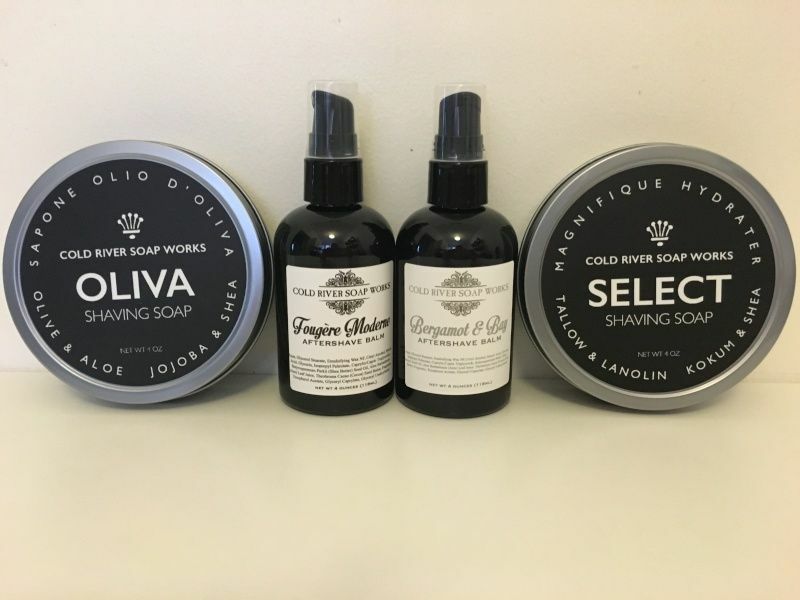 Olivia Colonia Soap : ordered this one to pair with Alvaro Gomez Concentrada Barbiera AS. As far as scent, they will match perfectly. Very nice- I have not heard of Nevermore Body Co. but like their branding. Sounds like it smells dark - E.A. Poe Thus Quoth The Raven and all that. I would expect something dark and foreboding, like CB's Midnight Dreary Can you give us your personal sense of the smell and performance? Sorry fo the late reply.Yes, I will review them. I've started with the CRSW and there are fantastic. Glide of both soap is exceptional, far above my references (Martin de Candre).